And you know the one I speak of. I have never been a competitive gal. Ask any former thumb-war opponent, hell – ask my old teammates. Life isn’t about winning as much as it’s about trying looking pretty, I always say. But this Sunday is different. After a season spent hanging with Russ, the Shermanator and Lynchie err Sunday, I have become quite fond of these young men. Maybe it goes both ways, maybe not. Probably not. Sometimes I picture myself down on the turf with Pete C, adjusting each other’s headsets and sharing a side-hug. Or Richard Sherman and I bro-punching one another, after a game-changing interception. I can see Russ and I pouring over our playbooks while on defense in matching baseball caps. Or Lynchie and I enjoying a Skittle-shower after an insane TD. Best buds, we would be. These guys have become my boys. 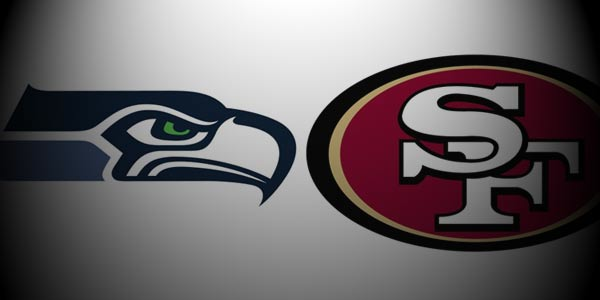 And this Sunday, my beloved Seahawks play the 49’ers. And as much as I like to think the outcome of the game doesn’t matter. It does. 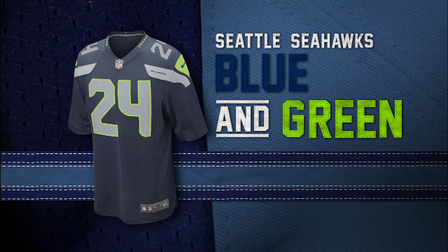 It matters because the Seahwaks have the best colors in the NFC West. Because my heart will break if I see the 12th man let down. 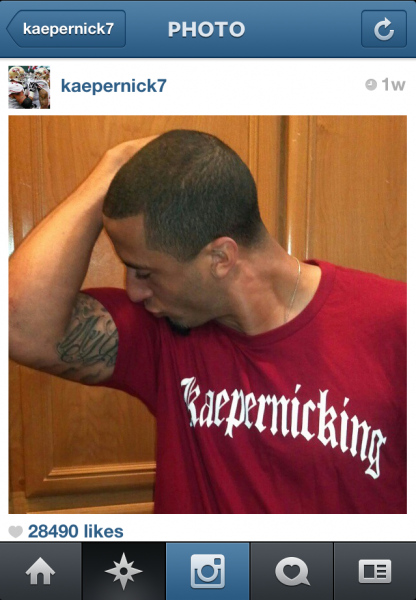 It matters because Colin Kaepernick is King of Douches and needs to go back to his shoe collection and devote more time to taking bicep-kissing selfies. And because a win for the Hawks will bring sweet, sweet pleasure to see the atrocity that is Jim Harbaugh experience sadness and show it on his stupidly expressive mug. 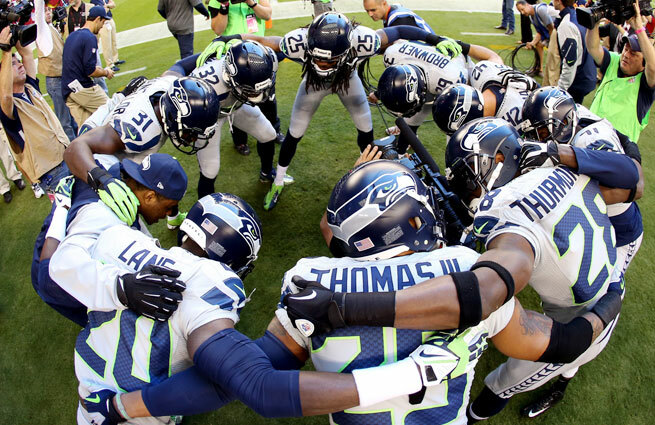 Anywho, regardless of the team who claims victory – I know I’ll be cheering for the right one. A happy to know ya kinda team. A group of men worthy of all these crazy, Seattlites devoted attention. Good luck boys. Make me proud. 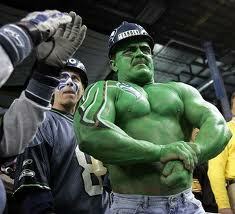 Ahhh I’m so excited to kill the 9ers this weekend!! A little nervous (but that is pretty normal for me before any competitive event, especially the ones I don’t actually have any control over), but mostly just excited to see Kaepernick and Harbaugh cry! YES! Me too! I am also really nervous for the game! 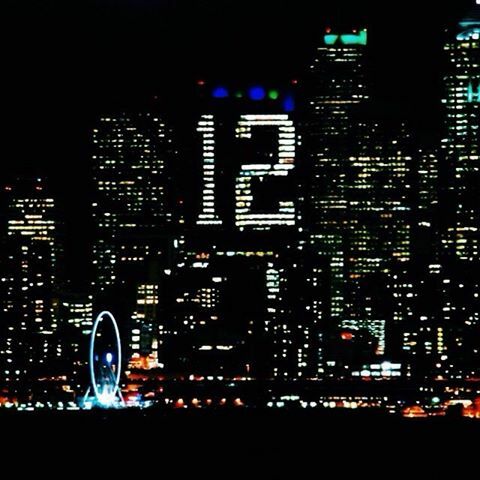 GO HAWKS!!!!! !